Asbestos fibres, when released into the air during incorrect asbestos handling, can be extremely hazardous. Incorrect handling can occur during storage, disposal, demolition and any other building works. Over the last three decades in Australia, the health hazards associated with incorrect asbestos disposal have become well known. There are three main categories of asbestos: brown, blue and white. Until 1979 all three types were used in the making of building paneling, known as asbestos cement sheeting, and also in vehicle brake pads, floor tiles and electrical equipment. In Australian states and territories, regulations exist relating to the disposal of asbestos. For example, in Victoria, EPA Victoria oversees and regulates the transportation of asbestos waste when undertaken by a commercial contractor. 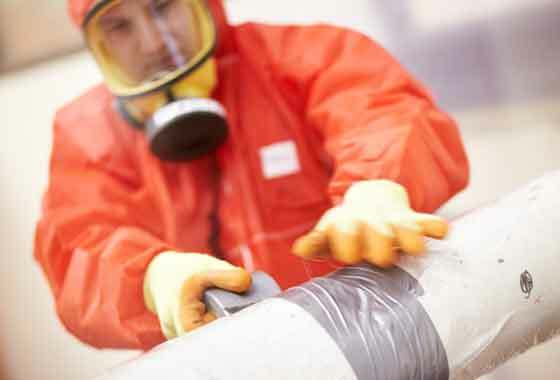 Australia Wide Asbestos Removal Encapsulation Pty Ltd (Aware) is permitted by EPA Victoria to transport Asbestos for the purpose of asbestos disposal. The process of asbestos removal, including the identifying, and handling of asbestos, is regulated also. In Victoria, again as an example, regulation is via Worksafe Victoria. Different classes of Asbestos disposal and removal are issued, and AWARE are an accredited A Class contractor for Asbestos Removal and Asbestos Disposal. Should you find asbestos on your property, or have reason to believe you might have material requiring identification, it is recommended that you contact an A class removalist who can assist you in identification, removal and disposal. Contact AWARE to enquire about our asbestos disposal service.